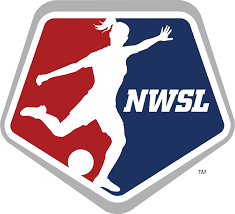 The NWSL kicks off again on the 13th April, and I can't wait. It only ended last season in September last year but it feels like it has been gone forever. I am hoping that this season isn't such a one sided race and goes down to the wire, something that is going to be a good test for the teams is the World Cup, there is a short break in the league for the tournament however, the break doesn't last the full competition meaning that some big names my be missing out on a few rounds if their National team progresses in the World Cup and some of those names missing could be Carli Lloyd, Alex Morgan, Tobin Heath and Sam Kerr to name just a few. This will mean that some rookies may get chance to make a name for themselves alongside those fringe players. It is going to be a nice change from having the same players week in week out and picking up some new talents. It could really be those few weeks that the big names out that could really mix the league positions up as it really opens the teams up. It took a while to pick out the order I think the league will play out in but honestly my opinions are based on the teams losing big names throughout the world cup but being strong enough with the rest of their squad. I really think Portland could have the depth needed to just help them break through. I think Utah could be a strong challenger in their second year too as they can have the build up to the World Cup with O'Hara, Sauerbrunn, Corsie and Press but again I think their squad has the depth required to pull off that time when the big names have gone. I have had to put Sky Blue down at the bottom as I think some of their off field issues may have had an effect and with so many players moving around i.e Leon to West Ham I think they have a fair bit of rebuilding to do plus with the possibility of losing Lloyd for a few games this could also effect them. So there you have have it that is just a quick prediction post to get ready for the NWSL kicking off. I can't wait to sit and watch as many games as possible. It should hopefully be a good season. Keep an eye on the blog too as there will be plenty more football content coming very soon.